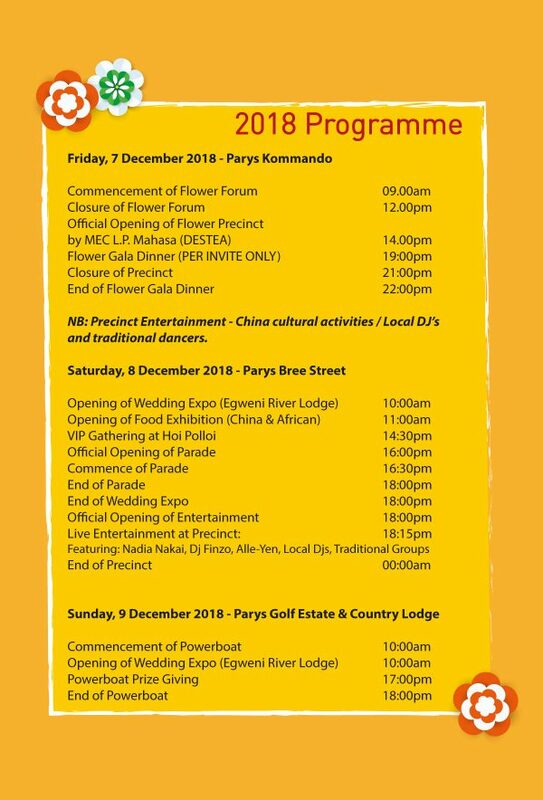 The Free State Gambling, Liquor and Tourism Authority hosts the annual Madeira Flower Festival Free State in Parys on 7 & 8 December 2018. OFM’s Saturday Express with WR van der Merwe broadcasts live from the precinct on the main day, 8 December 2018 (13:00 – 16:00). The festival is one of the biggest flower parades in the history of the Free State, attracting thousands of flower lovers to the event hosted in the picturesque town of Parys, which is famous for its antique shops. The two-day programme will consist of forum, which is a gathering of flower trade farmers, a lifestyle exhibition show, a charity Golf Day and the flower carnival displaying the Free State Big 5 Routes floats with dancers promoting the province’s routes. Over 200 000 flowers from local flower farmers will be used to create the 5 magnificent floats each representing the 5 Tourism Routes in the Free State Province. Last year, the Dipalesa parade featured close to 800 participants including 500 dancers representing the Big 5 Routes, Madeiran traditional dancers representing Portuguese in diaspora, local based majorettes, giant puppets, marchers from Epilepsy SA, bikers and vintage cars. The five floats representing the Free State’s five Tourism Routes in their respective colours: The Lion Route (green), the Eagle Route (orange), the Cheetah Route (red), the Flamingo Route (yellow), and the Springbok Route (blue) - were designed by Madeiran master floriculturist, Joao Rodrigues and wowed the huge crowds. Dancers rocked to local and international tunes including Nkalakatha by Mandoza, Despacito by Luis Fonsi, Smooth Criminal by Michael Jackson and Loslappie by Kurt Darren, amongst many others. 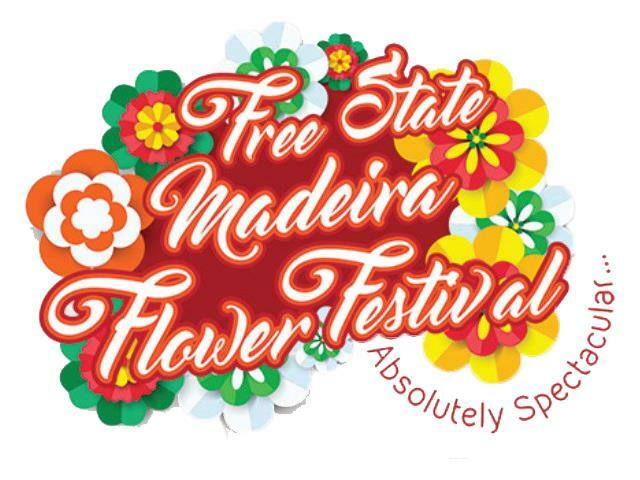 The event is a joint venture between the Free State government and the Autonomous State of Madeira, who host the world’s largest flower festival on the Portuguese island every year, in May. For 2018, which is the centenary year celebrating the lives of Tata Nelson Mandela and Mama Albertina Sisulu – the Madeiran flower artists will design flower carpets portraying the two icons as the country prepare to close the year of that celebrated their lives. The flower festival target market is travel enthusiast, horticulturists and lifestyle lovers.